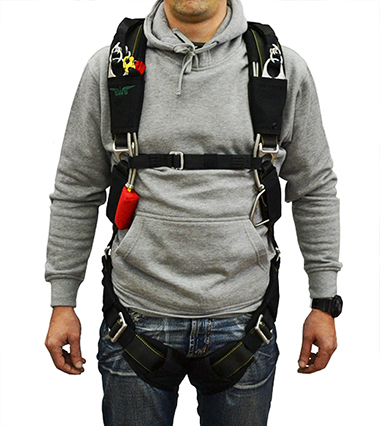 SWS Company produces a number of models of the harness systems. So that any client can select the most appropriate model to meet his needs. 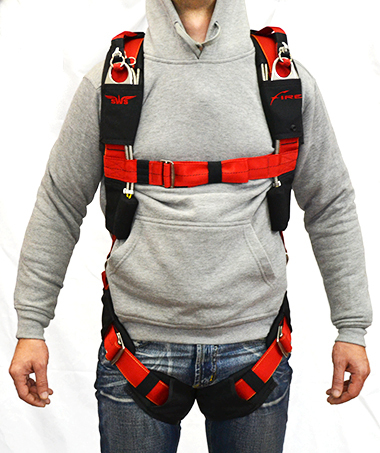 Harness/container system with rings on the chest was initially designed for freeflyers to guarantee that the harness system will fit tight in any possible position, not prevent any movement or have bends. The advantages of the four rings will be appreciated by swoopers, freestylers and many others.